Hey friends. You may have noticed that we’ve been a little quiet here on the blog. Let me get you caught up on what’s been going on the last few weeks. We left La Grande, OR on August 24th. We took 5 days to drive to Grapevine, TX. 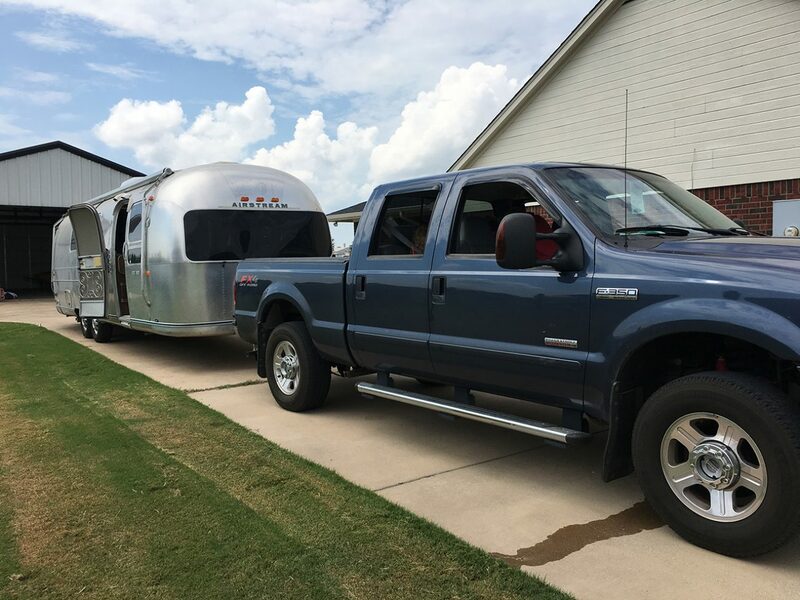 When we arrived in Grapevine we had one day go pick up the Airstream and get all of our stuff out of the 5th wheel. Unfortunately when we picked up the Airstream, Jonathan ended up twisting his ankle pretty bad and was on the couch the rest of the day. Poor guy. By the way, who’s bright idea was it to make the transition in TEXAS?? Holy Cow! It was so stinking hot and humid. It was a miserable day moving all our junk to the Airstream and cleaning the RV, but we were able to get it done. We picked up the new owners of our 5th wheel on Wednesday and thankfully they are so awesome that they helped us with moving some of the heavy stuff since Jon was out of commission and I couldn’t do it alone. Thanks Charlie and Becca! We spent Wednesday showing them the 5th wheel and getting to know them. Our plan was to spend the night in the airstream on the floor but once we had everything out of the 5th wheel and into the Airstream, there was NO ROOM! We could have put up a tent but in that heat and humidity it would have been absolute torture for the kids (and us). Again, Charlie and Becca showing how great they are, they let us crash with the kids in the bunkroom one last night. Thank you Jesus for air conditioning. Thursday we got the last little bit of our stuff out of the 5th wheel and hooked up to go our separate ways. We drove all day and ended up at a DoubleTree Hotel in Springfield, MO. Who’s great idea was it to have warm cookies for their guests upon arrival? Woah, you just made our day! After sufficient bed jumping, we were able to settle in for the night and get a good nights rest before we drove the rest of the way to my parent’s house in Indiana. We got to Martinsville just in time to get showers and call it a night. We were all so tired of being in the truck! We spent 9 days driving over 2600 miles through 10 states. We still can't believe we bought an Airstream! Now, let's get this baby gutted!